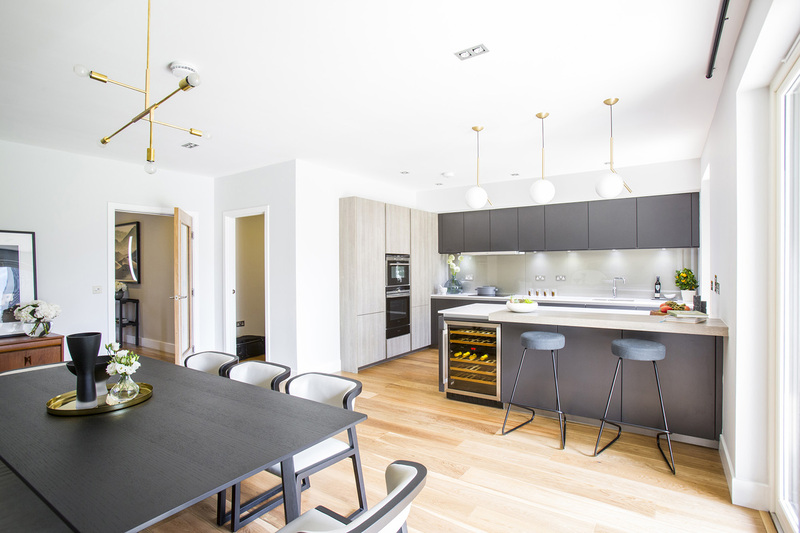 This stunning development, located in Edinburgh, was filling a gap in the upper end of the property market. 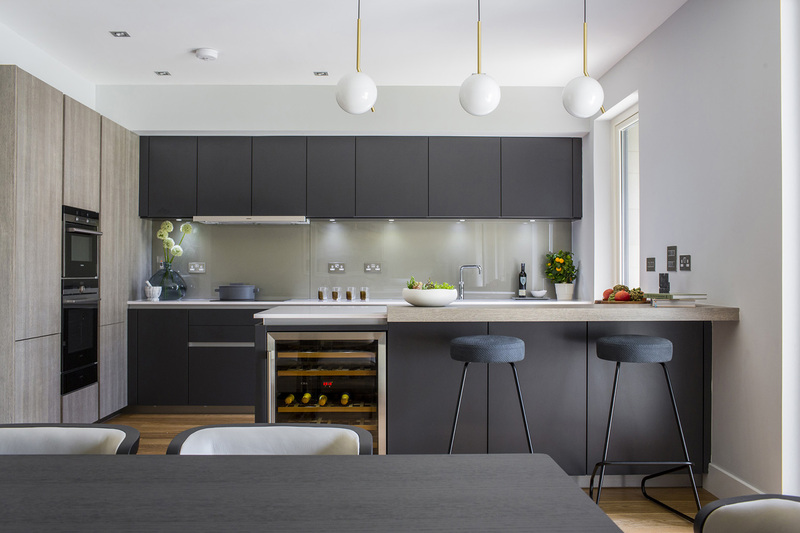 Situated in a prime location, our clients were keen to not only meet, but exceed the expectations of their target market using contemporary, designer products. 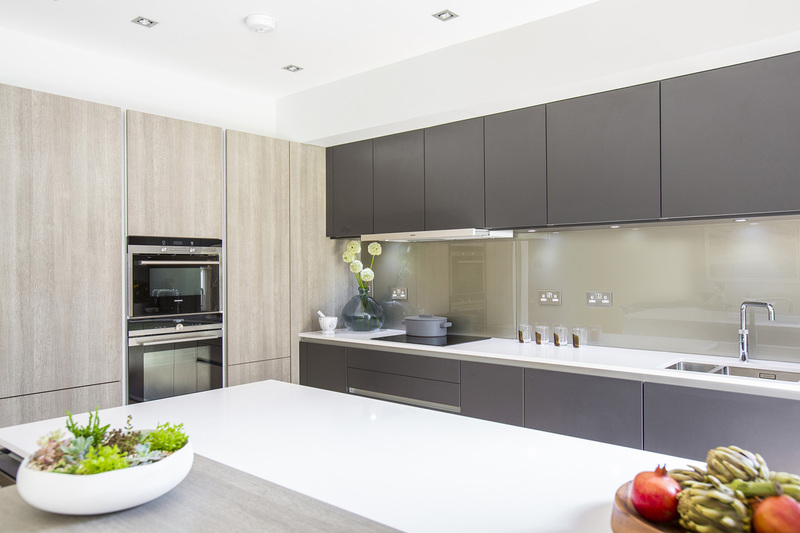 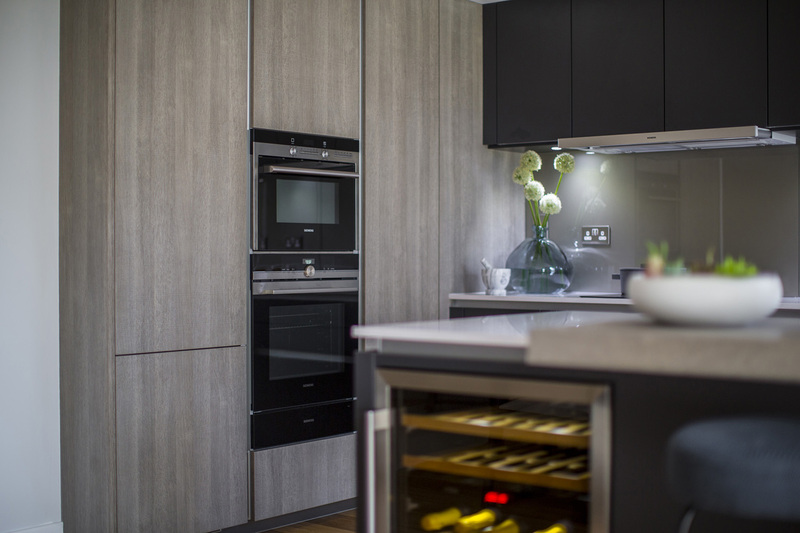 The use of contemporary Leicht handleless furniture, Silestone worktops and state of the art Siemens appliances provided the basis of our offering. 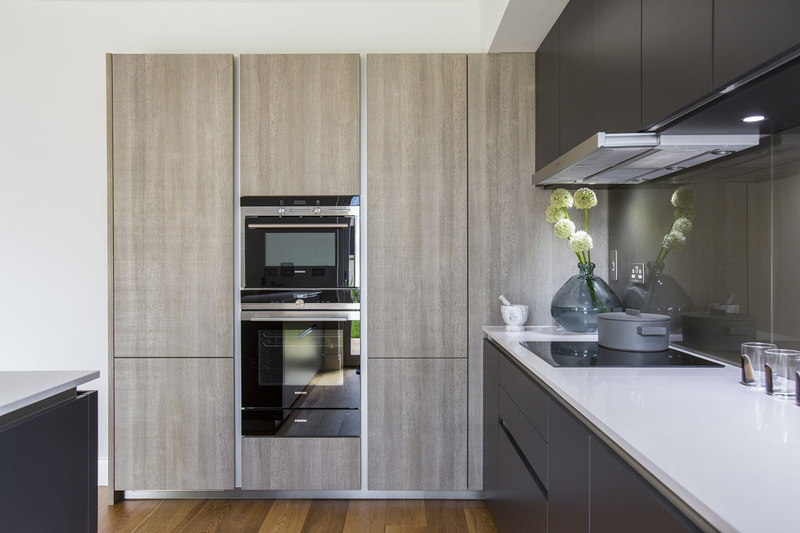 Tall unit storage with a tall corner Le-Mans pull out was incorporated, giving an impression of style and practicality. 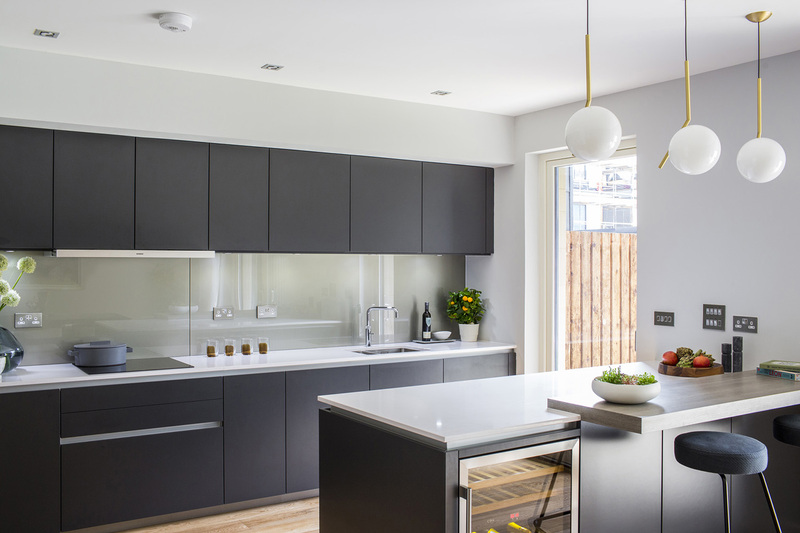 In order to de-clutter the island and maximise preparation space, the hob, sink and boiling water tap were located on the back run.